Congratulations! You earned it! So you’ve been gifted a pretty cool (or somewhat offensive) woven patch card right? Follow the instructions below to learn how to apply your patch onto a surface of your choice, they even look great on our linen notebooks hehe. Fancy gifting a card of your own choice? Click here to shop our woven patch cards. 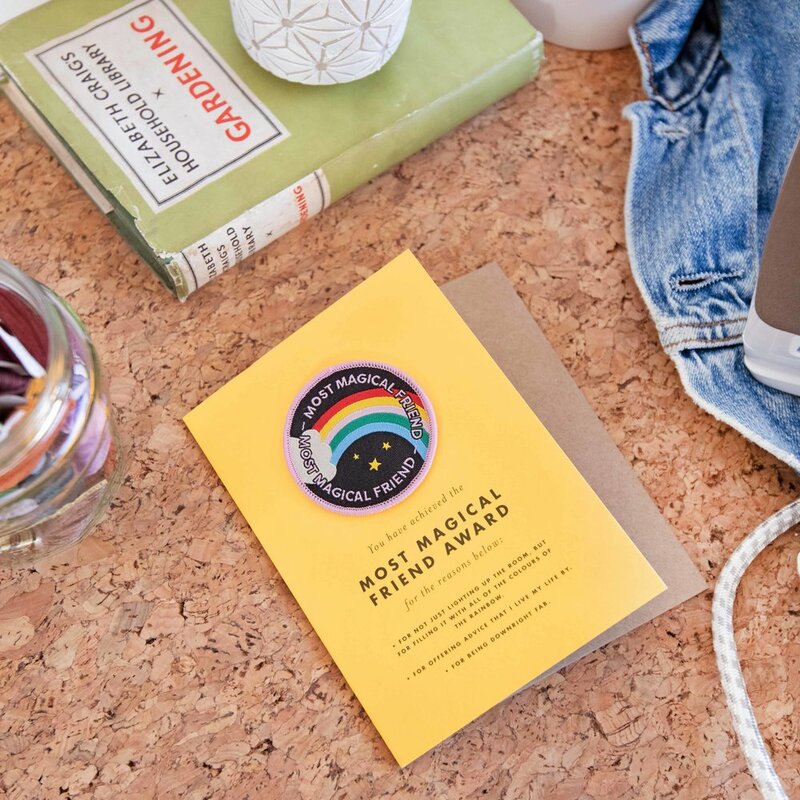 Peel off your patch from your wonderful greeting card. Don’t tear too harshly as you might ruin the card! Turn your iron on and change the setting to “linen”. Iron over your patch for around 2 minutes. Carefully see if you can peel it off - if you can, keep on ironing as the glue hasn't adhered just yet. If you're finding that your patch is leaving glue on the iron, place a tea towel in-between the iron and the patch. Leave the patch too cool down, and then you can admire your masterpiece! Oh yeah we did it! Look at your cute lil’ patch in all its glory.